This badge was issued to Suprabhat Das on 18 Aug 2018. 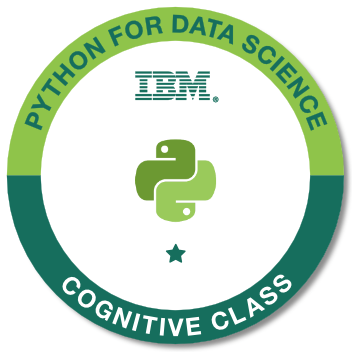 The badge earner is able to write their own Python scripts and perform basic hands-on data analysis using IBM's Jupyter-based lab environment. Successful completion of the course "Python for Data Science".